4 Bedroom Mountain and Seaview Villa with Pool near Spartilas, Corfu, Ionian Islands, Greece£214Minimum stay 7 nights£300 off June week! 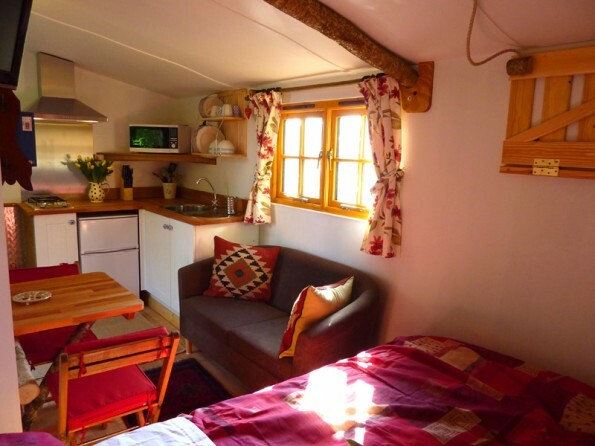 In search of a unique weekend away? 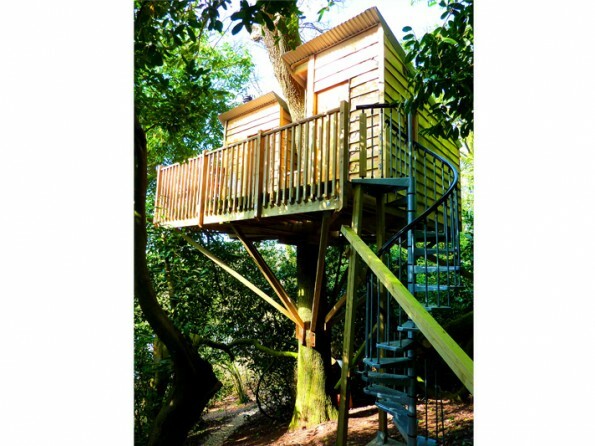 Perched high in a mature English oak tree, 9 metres off the ground, you will find The Nest - a beautiful and cosy treehouse the Blackdown Hills in Devon. 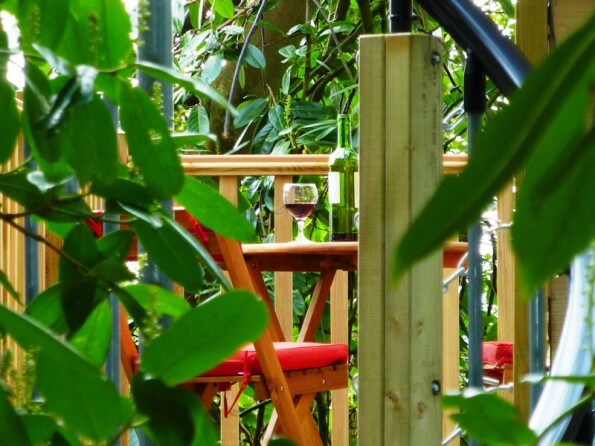 Set within an ancient broadleaved wood, this is a wonderful escape for couples looking for a romantic break. On arrival, after a short walk through the woods, following the curve of the path, there, rising above you is a large English oak tree. 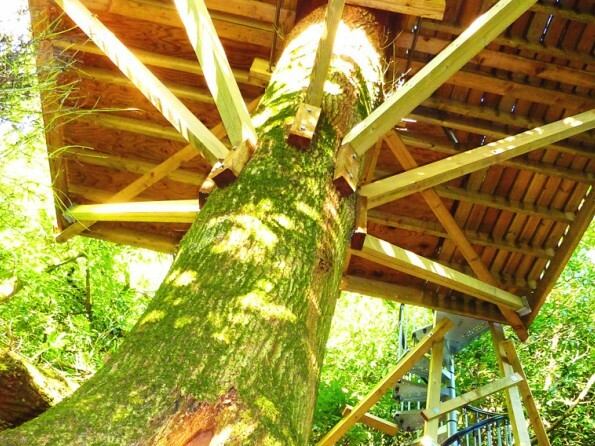 Look up to see the remarkable tree house. 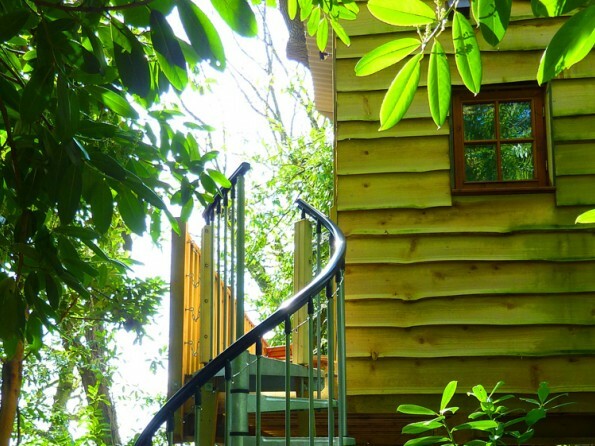 Climbing up the spiral staircase you step onto the decking balcony, ideal for those al fresco meals or just relaxing and enjoying the peace and serenity of the location. 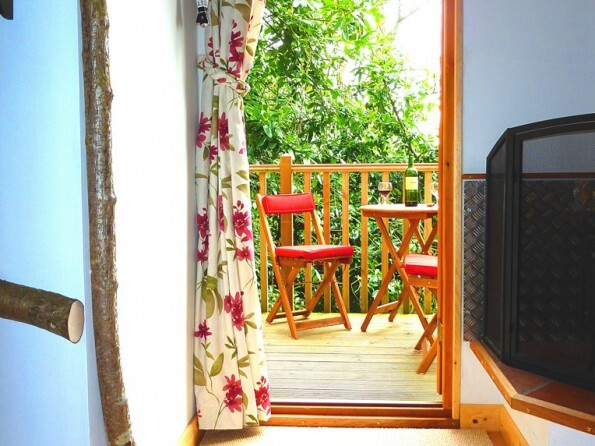 Immediately off the balcony is the living area, within which is the kitchen, dining area and double bed all made cosy by the wood burning stove. Also just off the balcony, is a fully equipped bathroom with a shower, basin, and toilet. The Nest provides a perfect base from which to explore the area, Exeter and Taunton are within easy driving distance, and the Jurassic Coast is nearby. The Blackdown Hills are a particularly beautiful area, designated an Area of Outstanding Natural Beauty. With walks, horse riding, gliding, fishing and much more all available locally there is no need to travel far for entertainment. For dining out and the evenings there are plenty of pubs and restaurants. The Jurassic coast and Lyme Bay are nearby, with Sidmouth on the south coast being 11 miles away. The City of Exeter and County town of Taunton have cinemas, theatre, and all the facilities of a large town. Inside you’ll find everything you need for your break away. 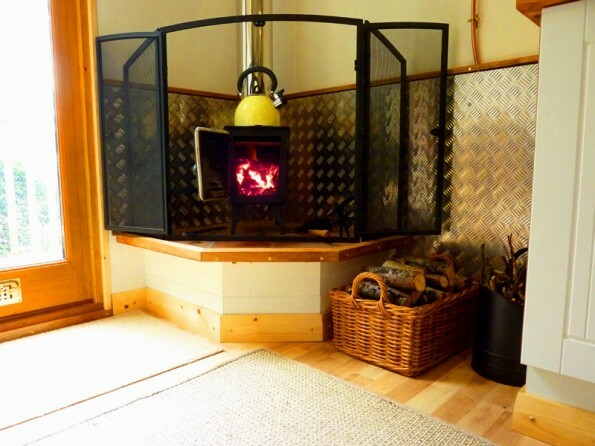 There is a wood burning stove (all logs provided) which keeps the place cosy, whatever the weather. 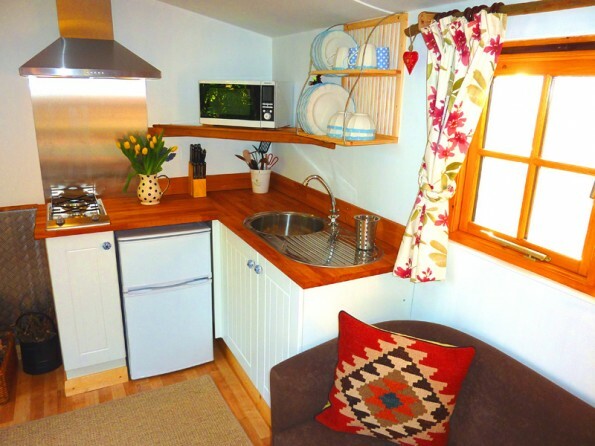 The kitchen / dining area includes a gas hob, microwave and grill, fridge freezer, kettle, and a good selection of utensils, crockery and cutlery. There’s a table and chairs. 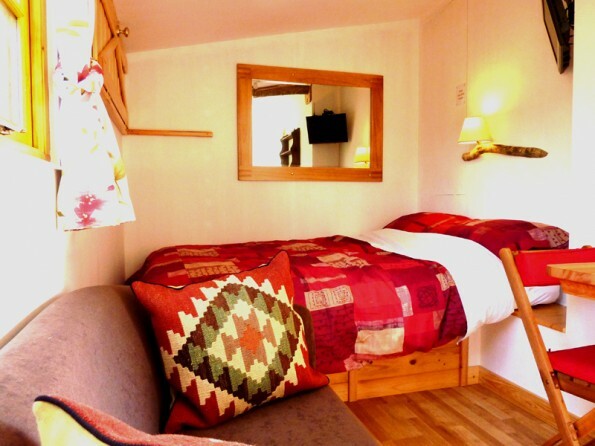 There’s a double bed with linen, fleece and pillows provided. The bathroom has a hot shower, toilet and handbasin. There is a TV / DVD player and a variety of games, puzzles and books. 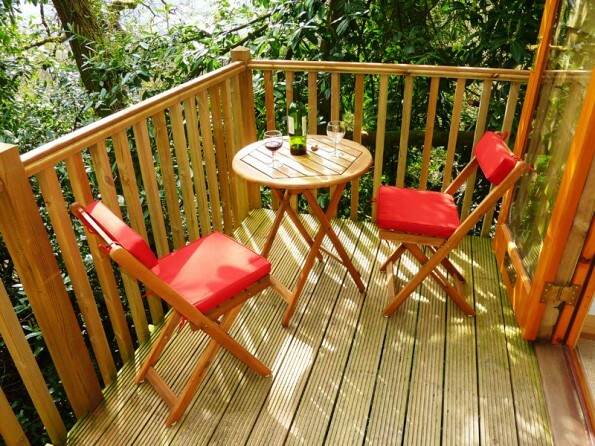 Outside is a small veranda with a table and chairs, where you sit and listen to the sounds of the woodland with a cup of tea or a glass of wine. There is a no smoking policy in The Nest and across the entire farm. Minimum 2 night stay (except bank holidays when it's a 3 night minimum). 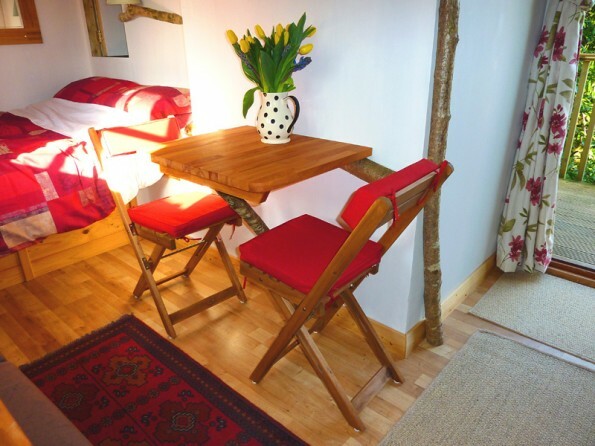 Accommodates 2 adults. Sorry, no children or pets. Towels and bedding are provided. There is plenty of off road parking. 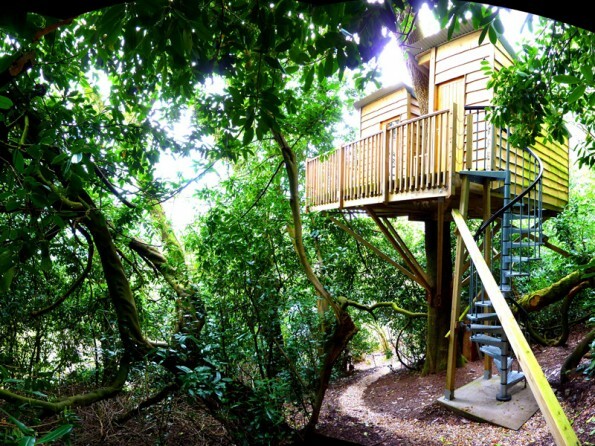 A wheel barrow is provided to transport your luggage along the undulating woodland path, finally spiral stairs rise up into the tree, all of which make it unsuited to guests with limited mobility. Please plan to arrive during daylight as the path is not lit as a hotel would be. Due to the risk of fire, outdoor fires, smoking, candles, and open flames of any sort are not allowed. Check in from 4.30pm to 6pm, on Mondays, Wednesdays and Fridays. Check out by 10.00am, any day of the week.